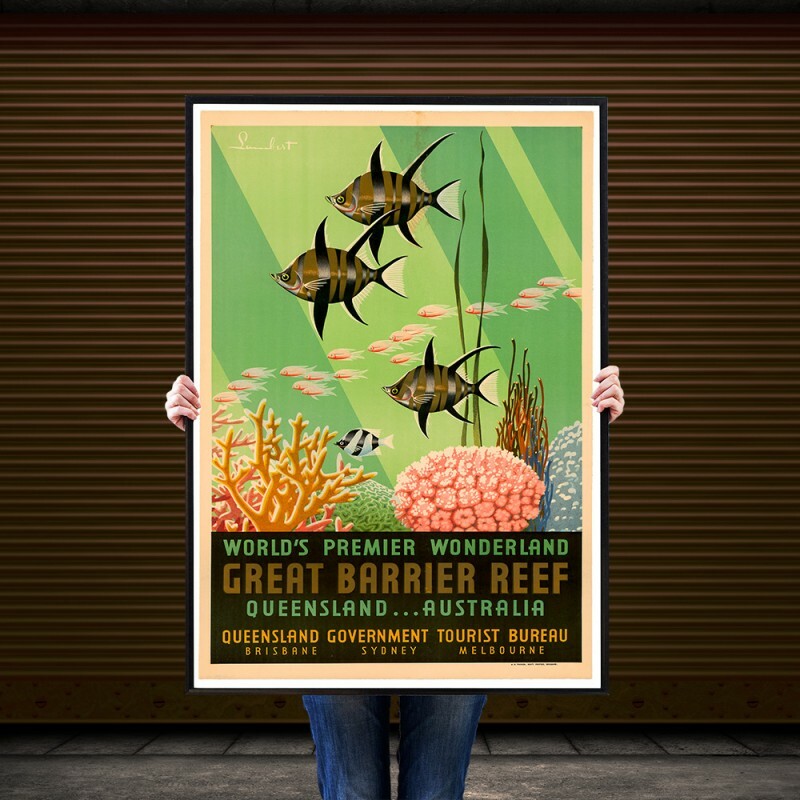 A magnificent illustration was created by Noel Pascoe Lambert. During the 1930’s the Queensland Government Tourist Bureau commissioned three main artists, Percival Albert Trompf (1902-1964); Peter S. Templeton (1875-1971); and Noel Pascoe Lambert (1889-1974). 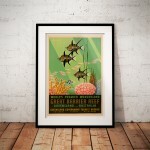 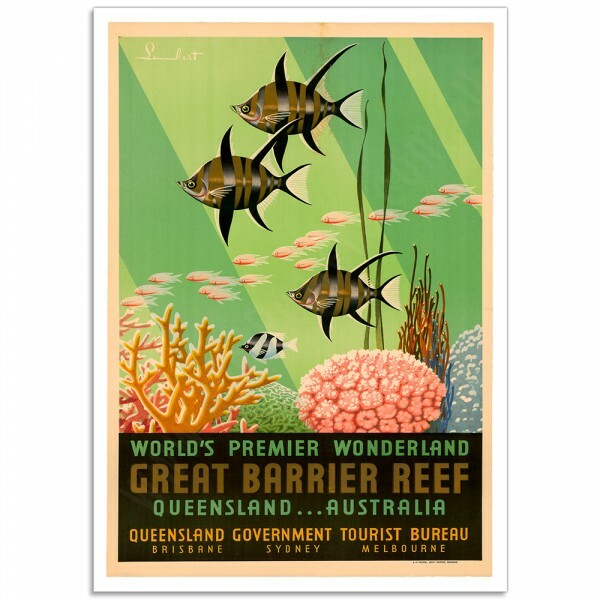 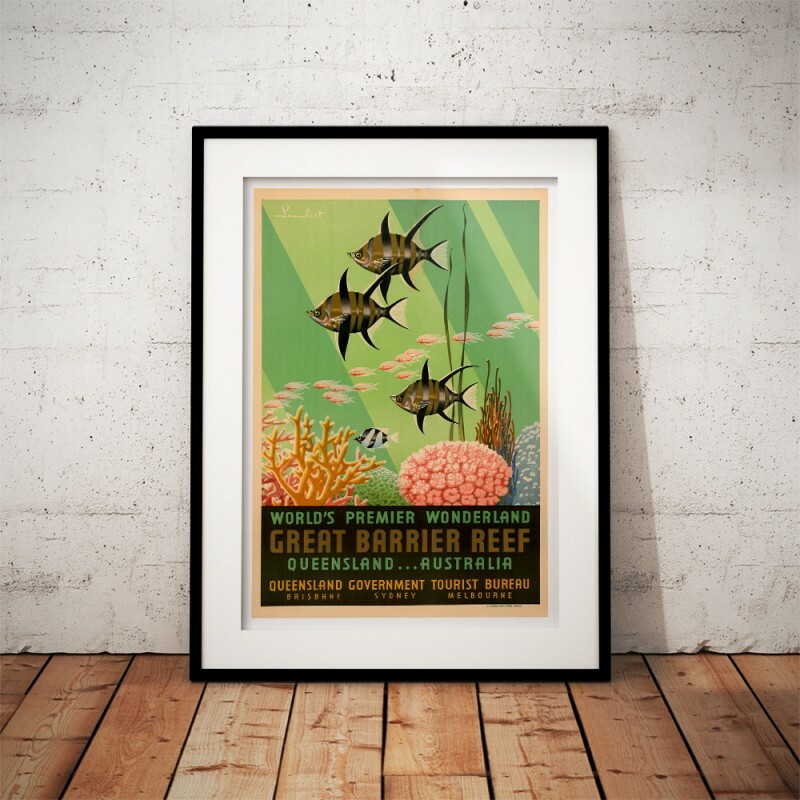 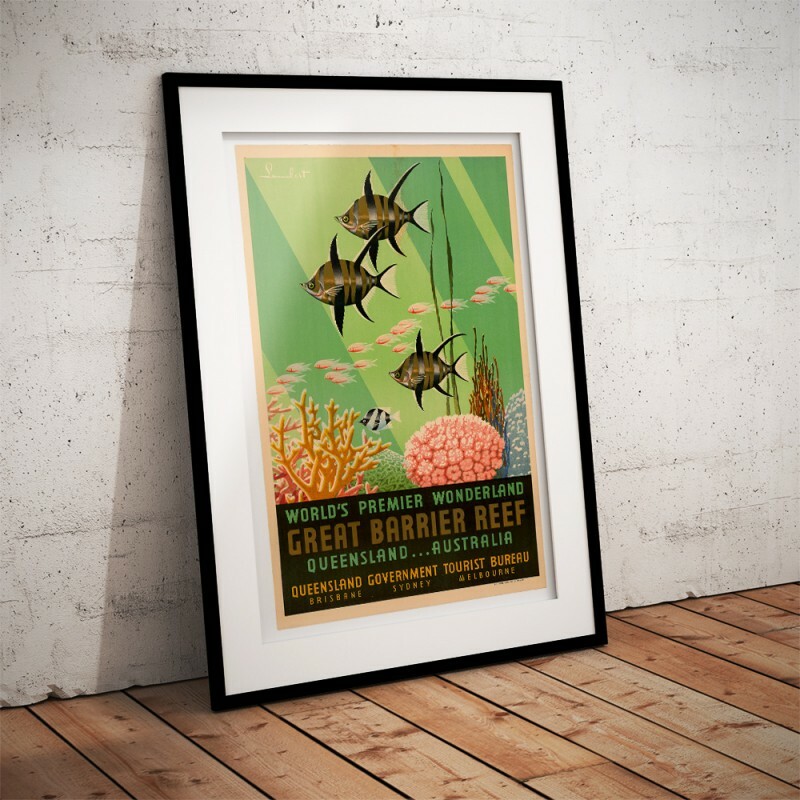 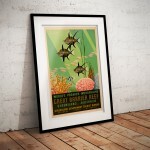 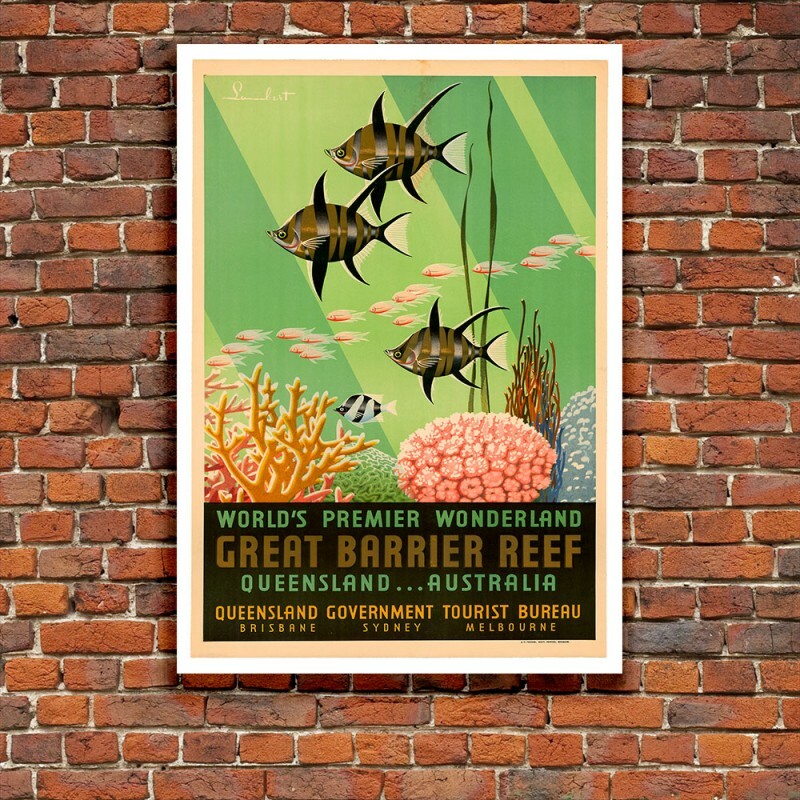 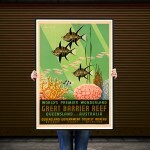 The 'World's Premier Wonderland, Great Barrier Reef' Poster has been created from an original poster. 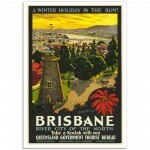 Sth Queensland Mountain Resorts - Vintage Australian Tourism Poster." 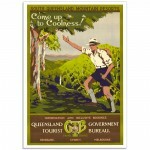 Come up to Coolness".The origi..
South Queensland Surfing Resorts - Vintage Australian Tourism Poster." 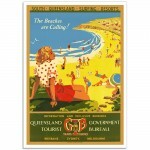 The beaches are calling! 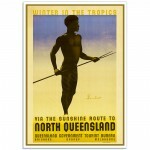 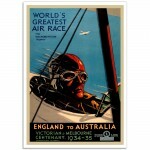 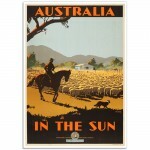 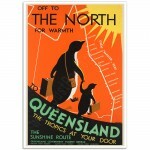 "The ..
Winter in the Tropics - Vintage Australian Poster"Via the Sunshine Route to North Queensland"This&nb..
Off to the North for Warmth - Vintage Australian Poster.To Queensland the Tropics at Your DoorThe ar.. 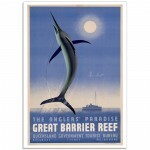 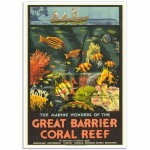 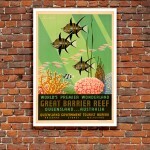 The Marine Wonders - Vintage Australian Tourism Poster.The Marine Wonders of the Great Barrier Coral..